Register online & be entered to win a FREE shirt! Espionage is called the second oldest profession. Intrigue, trickery, and guile have always been powerful weapons. Spies have shaped the destiny of nations since the beginning of time—some inspired by patriotism, some driven by fear, others fired by greed or a combination of motives. 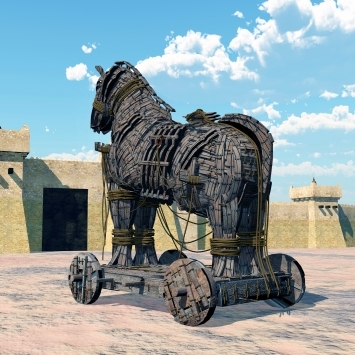 The Greeks excelled at deception: the story of the Trojan Horse is still with us today, but they also shone at intelligence gathering, ambush, and surprise attacks. This evening, Col. Rose Mary Sheldon, author of Ambush: Surprise Attack in Ancient Greek Warfare and Espionage in the Ancient World will transport you to the earliest days of espionage history. Discover how the first spy masters and military deceivers operated, their tradecraft, and their successes and failures in Greek warfare.